A member of the science and technology faculty at Meijo University in Nagoya, Japan, Dr. Fumitada Itakura is a foremost pioneer in statistical signal processing and its application to speech communications. His early work on speech spectral and format estimation, which used the maximum likelihood method, laid the foundation for much of the early progress in speech signal processing. These contributions ranged from vocoder designs for efficient speech transmission to distance measures for speech recognition. 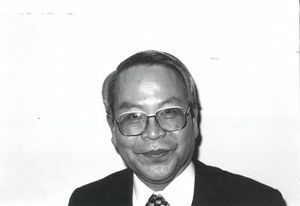 During his tenure in the Speech and Acoustics Research Section of NTT Laboratories in Tokyo, Japan, Dr. Itakura developed linear predictive coding for speech analysis and synthesis. His ground breaking research and development activities go well beyond speech coding to include areas as diverse as speaker recognition and verification, text-to-speech synthesis, and various forms of speech analysis. He created an insolated word recognizer based on the minimum prediction residual principle, which provided a solid framework for integrating speech analysis, representation and pattern matching into a complete engineering system. His work on autoregressive modeling of speech is used in nearly every low-to-medium, bit-rate speech transmission system.In addition, the line spectral pair representation he developed in 1975 is now found in nearly all cellular telephone systems. An IEEE Fellow, Dr. Itakura is the recipient of the IEEE Signal Processing Society's Senior and Society Awards, the IEEE Third Millennium Medal, the IEEE Morris N. Liebmann Memorial Award and the Purple Ribbon Medal of Japan. This page was last edited on 25 January 2016, at 20:37.